This item is no longer manufactured by Dymo. The closest replacement is item 1805414 (click to see item) which is a Green Vinyl Label with white print but in 1/2" size. - for all surfaces, ideal for outdoor and color-coding applications. Warning messages, wires, patch panels, equipment, machinery, etc. 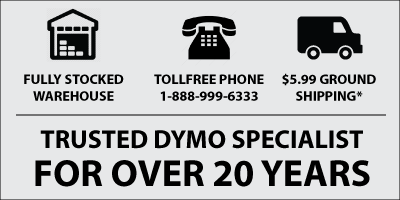 Dymo Rhino 3/8" Vinyl Label Tapes/Cartridges are compatible with all Rhino and RhinoPro industrial label makers ever manufactured. Following is the list of compatible Rhino label printers.